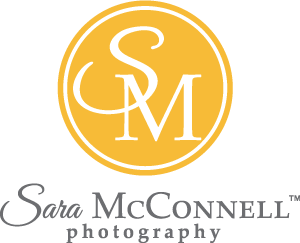 I am the Sara McConnell Photography Session Coordinator and I am here to guide you through the booking process, prepare you for your session, and answer all of your questions. I started working with Sara six years ago and I have come to really look forward to meeting and reconnecting with her clients when they come for their sessions. We have a lot of fun and I love the laughter and silly antics that happen during sessions when we’re creating your beautiful memories together. My interest in the capturing of the moment on film came as a young child when I received a small 35mm camera for Christmas one year. I burned through many, many rolls of film on that camera trying to hold onto all the scenes and memories I could. Always a sentimentalist, my photographs were almost always of the people I loved and of the places I visited. My intrigue in other people and their ways of living led to me my studies in anthropology. It was through my studies and my experience in museum photo archives where I really began to understand the importance and power of the photograph. After grad school, my interest in photography turned from the academic back to the personal when my husband and I collectively, and continuously, set out to record on photograph every significant (and even the mundane!) moment of our three children’s lives. We’re a busy and fun loving family and I’m finding the years are flying by with the children at our sides. Still very much a sentimentalist, I believe that one can never have too many photographs of their loved ones.